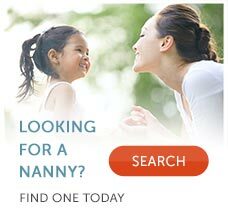 Is a Nanny an Independent Contractor or an Employee? Big mistake: misclassifying your employee as an independent contractor. Why is this an important distinction? With an employee, the employer pays taxes as well as the employee. An independent contractor pays both the employee and employer portions of the tax responsibility. 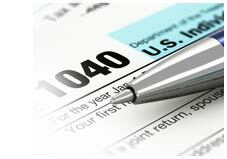 Misclassification is considered tax evasion and the Department of Labor and IRS have increased their enforcement. Families who are hiring a nanny, senior care worker or someone else who will be working in their home should know the differences. Generally, if you define the work that needs to be done and control how it is done, you are an employer and the person filling this job is your employee. We have found that nearly all of the time the IRS classifies a nanny as an employee. They should have taxes properly withheld and receive a W- 2 at the end of the year. Takes instruction from the employer. Is told desired, final results but works under their own conditions. Schedule is set by the employer. Sets their own schedule. Uses tools and equipment provided by the employer. Uses their own supplies. Let’s look at how this applies to a nanny and a lawn care service worker. The family tells the nanny what to feed the children; when they should nap; how much TV time they can get; and other parameters on how they want their children to be looked after. A lawn care service worker uses their own judgement in maintaining the lawn to get the results as desired by the home owner. They may take suggestions from the home owner but ultimately make their own decisions. The family sets the days and period of time that the nanny should be at the home to care for their children. A lawn care worker determines when they will start and stop work on a particular day. If it’s raining, they may not work at all. The family provides toys, diapers, strollers and other items as well as access to their kitchen and utensils to prepare meals for their children. A lawn care worker uses his own tools and supplies such as a lawn tractor and fertilizer.